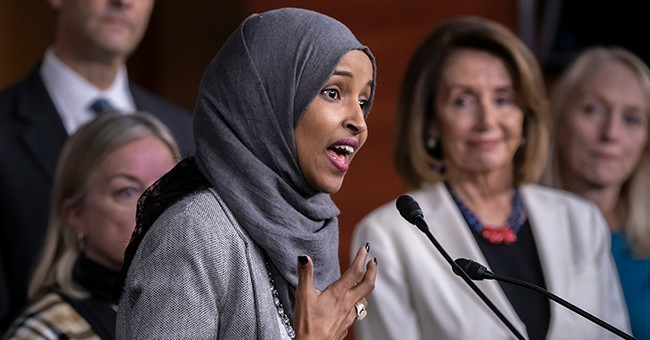 Rep. Ilhan Omar (D-MN) has been removed from the limelight due to the recent developments with the Mueller investigation, but that doesn’t mean her alleged anti-Semitism has been swept under the rug. Her views are still trash—and she’s straight garbage. Sorry, after her repeated anti-Semitic antics—maybe its just time to admit that she hates Jews. Dr. Sebastian Gorka, who was a guest on our podcast, did not mince words about Omar. From the 2012 tweet about Israel having hypotonic powers to the ‘all about the Benjamins’ tweet, Omar’s anti-Jewish sentiments are not a recent phenomenon. Anti-Semites have long peddled her latest dual loyalty remarks, where she accused supporters of Israel of exhibiting such feelings. She has been accused of hosting secret fundraisers for terror groups. She cannot claim ignorance. She’s lived here for nearly a quarter-century. She’s been educated here. And you can see that there is no defense for her reported bigotry because the Democrats’ only position is that Omar is, for lack of a better term, too dumb to know what she’s saying. If that’s the case, then why is she on any House committees, specifically Foreign Affairs? So, with all of this nonsense, it shouldn’t surprise us that she called the 9/11 attacks as an event where “some people did something” at a Council on American-Islamic Relations event last month. Do you mean the radical Islamic terrorists who murdered 3,000 Americans? Was that the something, congresswoman? You were here. You know who the culprits were, who plotted the attack, the mastermind, and the organization he founded. It was Osama bin Laden’s Al-Qaeda group, which is a radical Islamic terror group. And yes, CAIR has been accused of having terror ties. With news that the Mueller report could be released in full this month, Omar will probably dodge this bullet. It’ll circle back, however, as she is bound to say something bigoted about Jewish people in the near future.